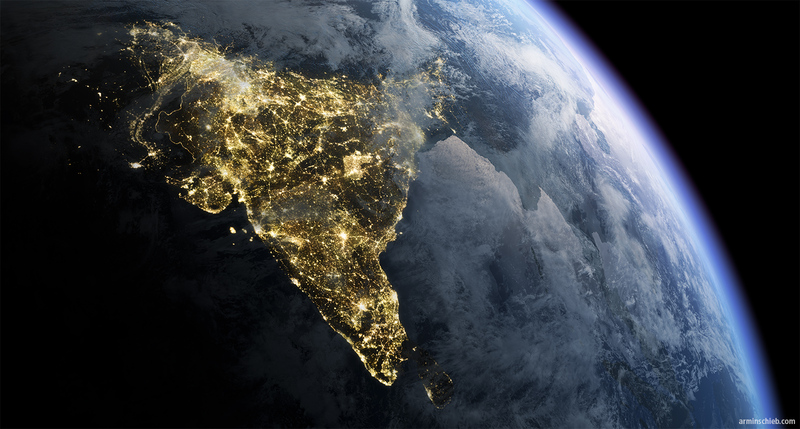 A realistic illustration of india by night, seen from space. 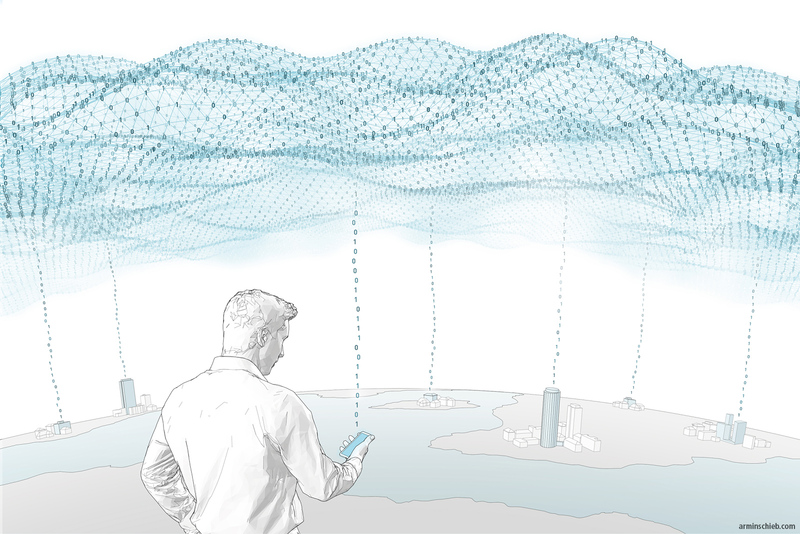 It was done for the Siemens Magazine. Two minimalistic illustrations about the the digitalisation of buildings and cities via cloud computing. Both were made for an issue of the Siemens Magazine.